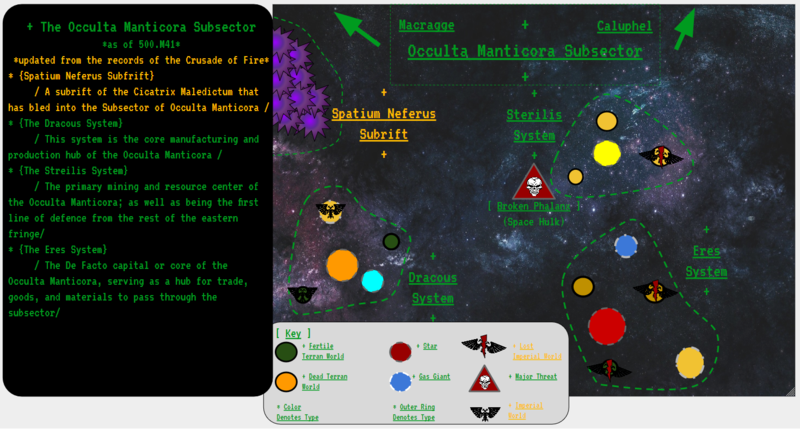 Continuing with the player contributions to our homebrew narrative campaign (Caluphel Awakenings), here we have a rich tapestry of lore sent in by Alex highlighting his Occulta Manticora Sub-Sector. The region is home to his Salamanders faction, the Crusade of Fire. 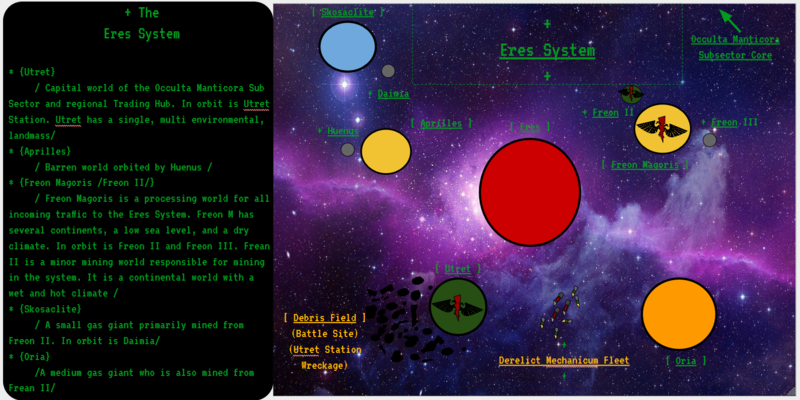 He’s also provided several maps of individual star systems in the sub-sector. Be sure to click the images to view the large versions so you can read the gazetteer info that he came up with as well!